Ben is VP of Engineering at Blockstream, helping to scale bitcoin and leading the team that is building the premier platform for crypto-finance applications. Previously, Ben ran engineering at Open Garden, the creators of FireChat—a messaging application that grows a mobile mesh network to ensure connectivity even when there is no internet connectivity. After nearly a decade leading advanced academic networking research initiatives, Ben transitioned to industry, co-founding a peer-to-peer (P2P) storage company that was acquired by BitTorrent and whose novel transport protocol (µTP) carries a significant portion of Internet traffic today. At Internet2, Ben founded and led the Voice and Integrated Communications Initiative, creating two large-scale VoIP peering fabrics for enterprises (SIP.edu, freenum.org) and prototyping enterprise-enabled rich-presence enabled mobile communications services. While at Advanced Network & Services, Ben chaired the Internet2 Quality of Service working group and led the QBone initiative—a national-scale, multi-institutional testbed for interdomain IP differentiated services. As part of this work, he lead the team that won the SuperComputing 2000 Network Challenge Award for "Most Captivating and Best-Tuned Demonstration". Earlier in his career, Ben contributed to the Cecil programming language and the SHORE persistent object store. 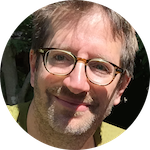 Ben is an experienced public speaker and community organizer and is co-author of several IETF RFCs.